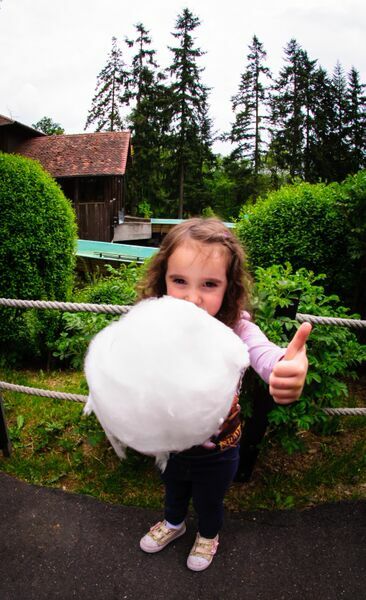 Kids of all ages would love to visit Taunus Wunderland, and we in Wiesbaden are so lucky to have it right in our backyard! Taunus Wunderland is in the southwest of the Taunus Mountains in the town Schlangenbad. 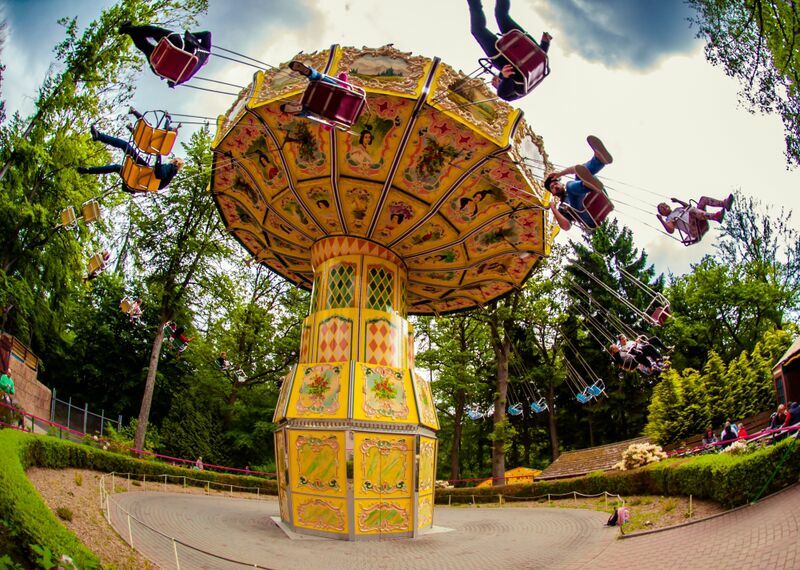 The park was opened in the summer of 1966 as a Fairytale Forest and a petting zoo. In 1998 they expanded as an amusement park including rides. 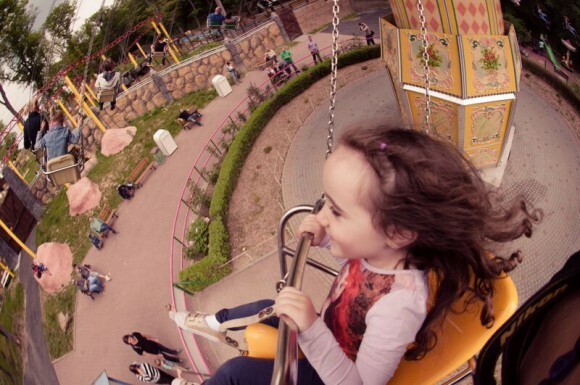 Today as you walk through the park you can see the history with the great variety of rides, decorations, petting zoo, birds and picnic/BBQ areas. Getting to the park by car is a very smooth and is around 30 minutes from Wiesbaden. 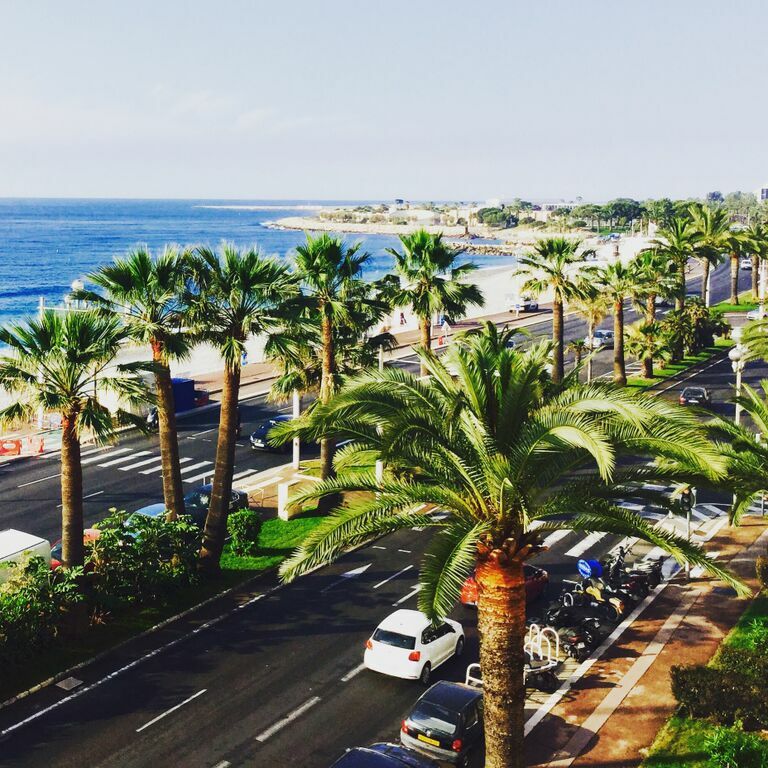 When you arrive, you see that there are two free parking lots. This year they built a tunnel that goes under the road so visitors do not have to cross the busy road anymore. There is also a bus (Bus 274) that leaves from the main train station in Wiesbaden, then changes over (Bus 241) and then takes you right in front of the park. A day ticket for an adult is 19,50 Euro and a child is 17,50 Euro. If you plan on going more than three times in the next year, it would really pay off to buy a year card (59 Euro for an adult). The yearly pass is great value for money as it is for the entire year instead of only for a season. It is very common to see families pulling wagon’s filled with backpacks, drinks and food. (Okay and a child or two in there as well.) You are allowed to bring in your own drinks and lunch. I suggest bringing other items such as sunblock, hand sanitizer (petting zoo! ), baby wipes, light jacket and bug spray. Because there are no ATM machines, bring cash to buy ice cream or treats. We love going to the park because of the variety. Since we have year passes, we don’t feel pressure to do so much in one day to get our money worth. We come sometimes just to walk around, on other days we use the playground area and then on other days we bounce around from ride to ride. 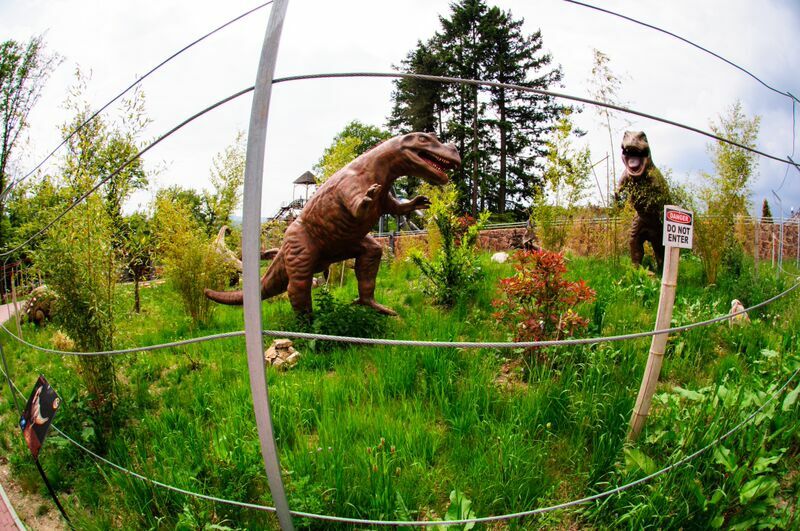 Jura Adventure: For all of the dinosaur lovers, the park has recently opened this new attraction where you can see and listen to all of your favorite dinosaurs. There’s no Barney here! Others attractions include: Rawr! 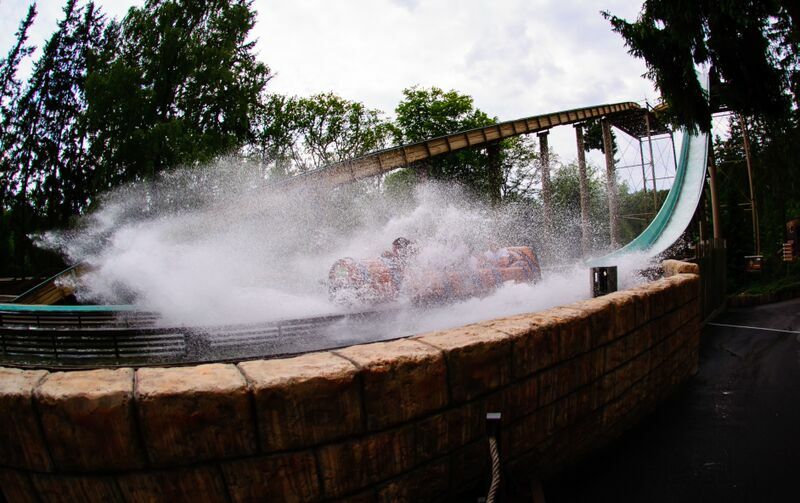 ; a rollercoaster a pirate ship and pirate boats for children; The Swings (oldie but goodie popular ride); a water log ride (nice on a hot day); the Miners’ Mini Golf; and many more. 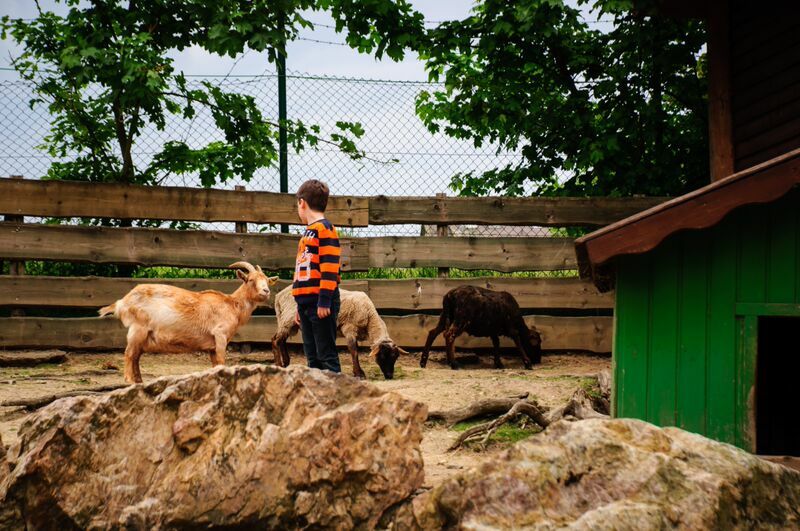 Petting Zoo: The petting zoo is great because you can climb down in the pen with the goats and sheep. They also have food you can buy for 1 Euro to feed them. The horses come to the gate sometimes and you can pet them there. There are many food vendors, in which prices are extremely reasonably! It was a great relief to see reasonable prices after coming from a certain theme park that is ran by a mouse. There is also a BBQ area where you can grill up an impressive lunch for family and friends or even have a birthday party. 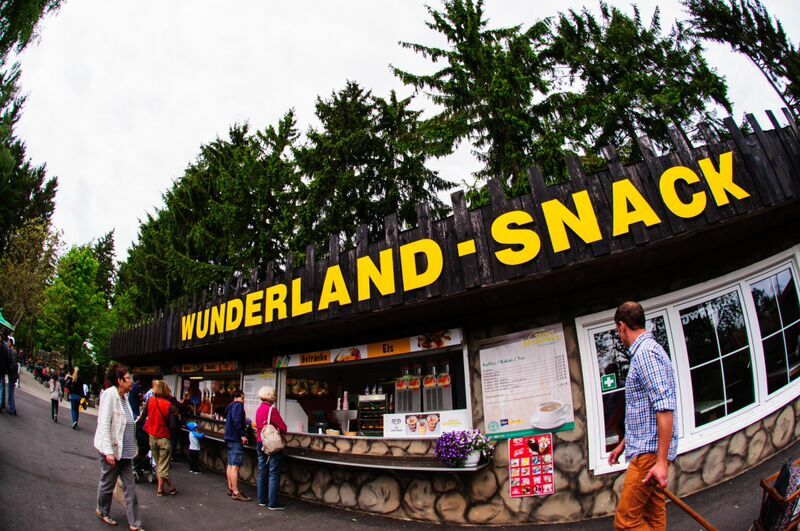 So next time you are having a lazy day at home, come and check out Taunus Wunderland! 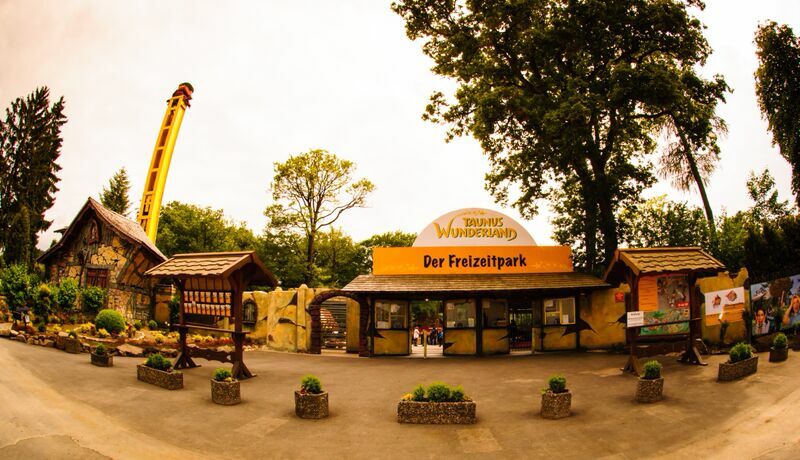 This family theme park offers fun attractions for everyone as well as beautiful views of the Taunus Mountain. Taunus is located approximately 30 minutes west of Wiesbaden, 1 hour and 30 minutes north of Kaiserslautern and 2 hours and 30 minutes north of Stuttgart. Author’s Profile: Gemma is a mom, a veteran and an Army civilian living in Wiesbaden, Germany. With New Jersey roots, she is enjoying her extended European vacation.